Clear, cloudy, or even green—no matter what condition your pool water is in, we know what to do to get it back up to standards and keep it that way so you can swim worry-free this season. As part of a monthly pool maintenance routine, it’s important to make sure that the levels of chemicals in your water are correct whether you have a salt, bromine, or chlorine pool. Our job is to ensure that your pool and family are protected. We can do this for you by personally testing the water in your pool so that we can recommend the products you need. 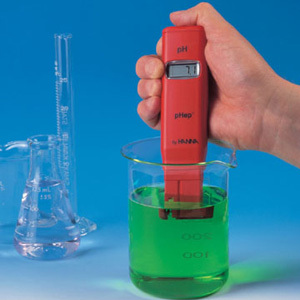 Poolarama performs a wide variety of water tests including pH, salt levels, total alkalinity, calcium hardness, stabilizer, chlorine, and bromine. With this information we are able to create personalized care instructions to follow describing exactly what chemicals you need and precisely how much is necessary to add to your pool. We’ve earned our reputation through constant technological improvements, extensive research and innovation, and superior customer service. So, what’s the difference? 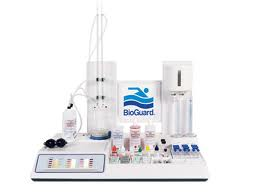 BioGuard Dealers are pool and spa care professionals. You can rely on our network of nearly 150 BioGuard retailers across the country for dependable, accurate, helpful advice. With regular access to education and training, our dealers will always be prepared to give you the best solution for your pool and spa care needs. We encourage the program approach to pool care. Simply put, it’s the easiest way to sparkling clear pool water. Our customized 15 Minute Work Week and Mineral Springs® products are convenient and effortless. You’ll spend only minutes per week maintaining beautiful pool water. BioGuard pioneered the idea of computerized pool water analysis and we have continued to research and refine the process. The result? The fastest and most accurate water testing in the pool and spa industry. All you have to do is bring in a water sample (approx. 1 litre), as well as your pool volume, and within minutes you’ll receive personalized instructions for start-up, closing and maintenance.